Born to protect Taormina from possible foreign attacks (and for this reason defined the Acropolis of Taormina) the original name was Mola. Given the presence of an important castle it was decided to change the name to Castelmola. 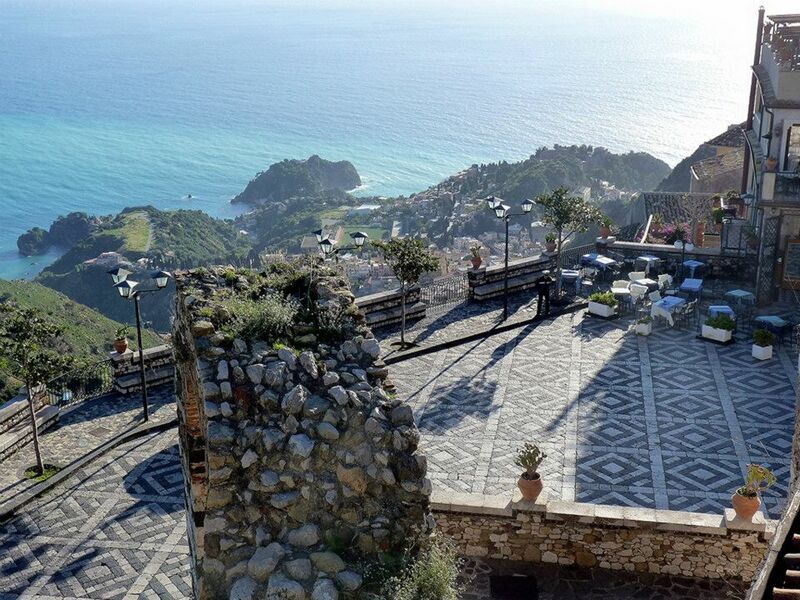 If you decide to come on holiday in the eastern part of Sicily you must definitely spend a day in this village, perhaps after spendig a few hours in the enchanting Taormina. The visit of Castelmola starts from the main entrance: the square of S. Antonio. Here you can admire the beautiful floor in the shape of a mosaic in white and lava stone. Continuing the visit you go up to the Castle through a staircase that reaches the highest point of the country from which you can enjoy a breathtaking view. Today only the remains of the walls and the ancient Porta di Mola remain of this castle, on which is engraved the symbol of Castelmola that is the “Castle with three towers” with the phrase “Castle faithful to his majesty – Year 1578”. A few steps from the Castle you can visit the chapel of the Madonna della Scala, while near Piazza S. Antonio is the church of S. Giorgio. In the town the church of S. Biagio and the church of the Annunziata are also interesting to visit. Surely to see during a visit to Castelmola are the Roman wells, the necropolis of Cocolonazzo, the gate of the Saracens (which divides the municipalities of Castelmola and Taormina). 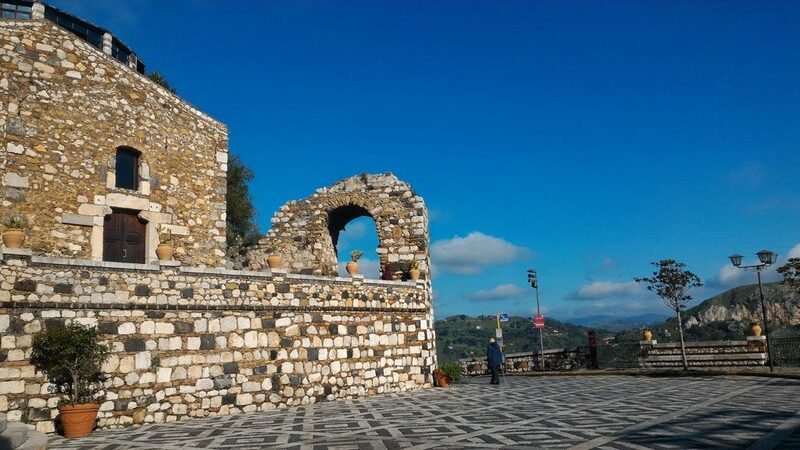 Castelmola is also rich in panoramic points from which you can admire the Ionian coast, the Bay of Giardini Naxos, Taormina and Etna. The main panoramic point is certainly Piazza S. Antonio, followed by the Castle.